Developer: Writes for All Inc.
∙Click into subdirectories and open documents. ∙Set a “Primary” and “Secondary” directory button for the bottom bar to get an innovative drag and drop experience; drag files to these buttons in the bottom bar to bring up a popover window. ∙Tag files easily. Select files in File Cabinet Pro, right click, and then simply add or remove file tags from the control in the context menu. 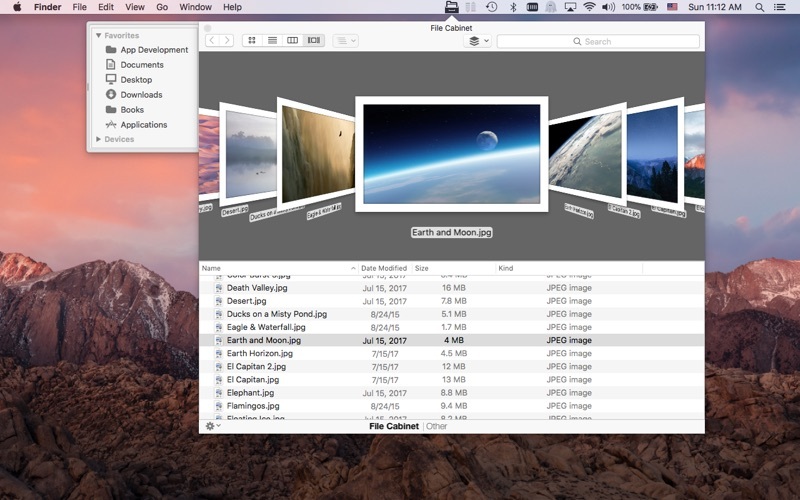 ∙Show selected files in Finder. ∙View items as icons, in a list, or in columns. ∙Launch the application at login. 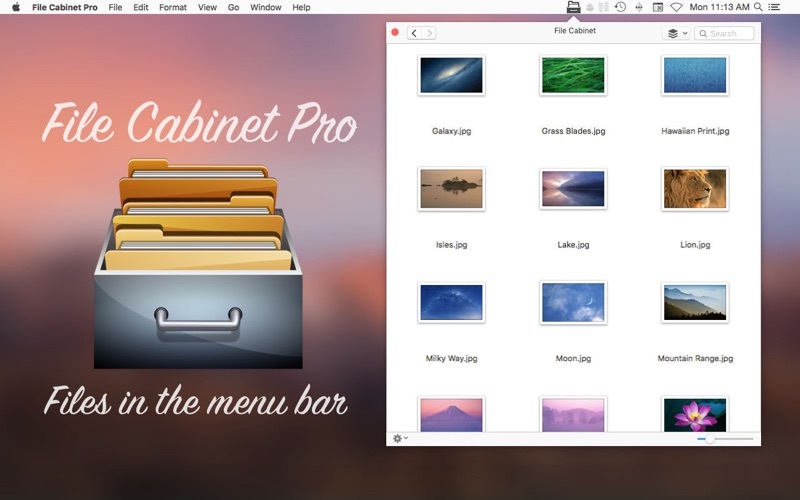 You can have File Cabinet Pro automatically launch when you login to your Mac (optional feature, disabled by default). ∙Create a list of all your favorite directories in the sidebar. ∙Create and edit txt, rtf, and rtfd files using the built in lightweight text editor. ∙Rotate images, crop images, and apply filters to images using the built in lightweight image editor. ∙Watch video and play audio files using the built in media player. ∙View pdf files using the built in pdf viewer. ∙Revert document versions for supported editable document types. ∙Set a Global Hotkey for showing and closing the File Cabinet Pro window (optional feature, disabled by default). ∙Preview selected files in Quicklook by pressing the spacebar. ∙Share files in apps that support Sharing extensions like Mail and Messages. 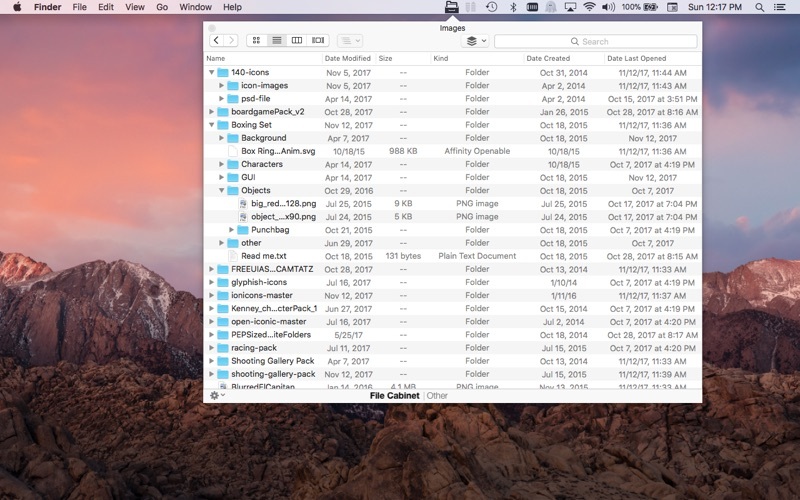 ∙Create text documents from Finder using File Cabinet Pro’s Document Creator Finder extension (Note: To use this feature, you have to enable the Finder extension in System Preferences under the “Extensions” tab). ∙Verify the SHA256, SHA1, or MD5 checksum of files using the “View Checksum in File Cabinet Pro” Service. 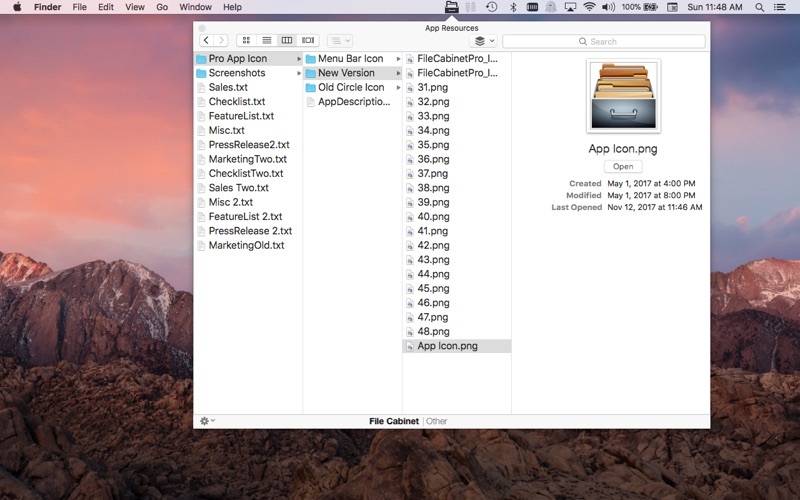 You can now open file packages directly in File Cabinet Pro. To use this new feature, right click a file package and choose the new “Show Package Contents” menu item. 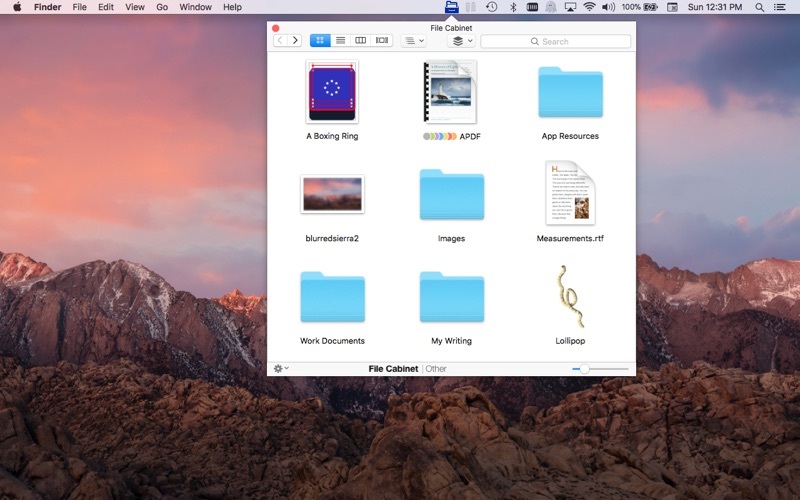 You can now show hidden files in File Cabinet Pro. This new feature can be turned on in Settings.